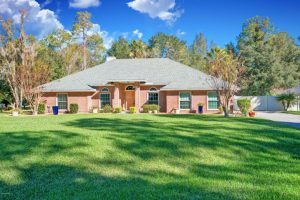 This weekend we have a few open houses – in St Johns, Oakleaf, and in North Jax. Please come by and tour these beautiful homes this weekend. We have wonderful agents available to assist you and answer any questions you may have. Full Brick beauty with upgrades galore on a private acre+ lot. The pictures tell the story of a fully remodeled home with $100,000+ in upgrades. Everywhere you look there is another surprise upgrade that you will appreciate in your new home. The home is open concept with 10 foot ceilings and hardwood floors throughout. The outdoor living space features a heated pool, fire pit, room for additional parking behind the fence, covered boat storage, and extended paver driveway. The huge back yard is fully fenced with vinyl fencing and specialty lighting. It truly is an entertaining, family home. Put this home on your list, it is the one home not to miss. Please see doc tab for upgrade feature list for home. Sip your morning coffee on the balcony overlooking your picturesque in ground pool with the breathtaking backdrop of the marsh and Dunn’s Creek. This home is perfect for outdoor entertaining with the dual led lit in ground pool surrounded by pavers and a dock leading to the marsh. The interior is no less than perfection with the high ceilings throughout, upgraded granite countertops and appliances in the kitchen. The double-sided fireplace shared between the master bedroom and the living room make the home warm and inviting. This home comes with a roof that is approximately a year old. The owners have maintained this home in peak condition. Buyer Financing Fell Through. Don’t miss this opportunity to purchase a MOVE-IN ready former vacation property in excellent condition. 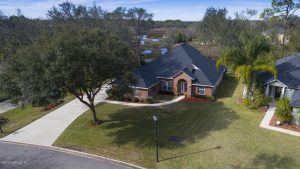 Located in highly desirable Oakleaf Plantation. 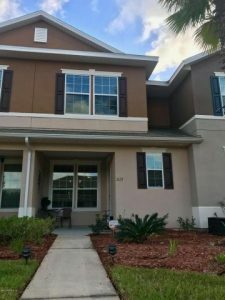 Close to schools, shopping, restaurants, and entertainment. Kitchen features matching stainless steel appliances, plentiful storage, and large large island with breakfast bar. Relax after a long day in the enclosed patio or take a soak in the large garden tub. Access to pools, clubhouse, tennis courts and more. All information deemed reliable but not guaranteed. Buyer to verify. Down Payment assistance may be available for qualified buyers. Ask for information.